The Family Room is dedicated to helping families thrive before, during, and after pregnancy, and in the early years of parenthood. We brought together the best birth, postpartum, and infant and child experts to help you. We know it isn’t easy, and we can help prepare you, empathize with you, and cheer you on. We are a non-judgmental, safe space welcoming all families, regardless of how you become one or who you love. The Family Room was created because we believe that during one of the biggest transitions of your life, everyone benefits from extra support. Karen is the owner, founder, and CEO of The Family Room. Her passion for supporting women is tied to her own experience as a mother to three girls. After the birth of her twins, Karen was shocked by the lack of comprehensive support in her local community for women and families entering parenthood. 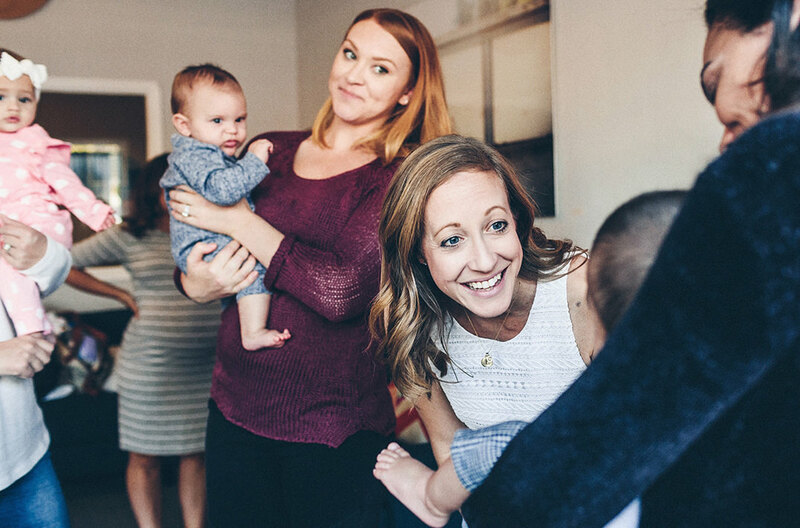 She decided the best way to help families was to create a space just for parents and bring the most experienced birth, postpartum, and infant and child development professionals in the community together under one roof. Karen created what she wished existed. She hopes you find The Family Room a place that gives you knowledge, confidence, friendship, and support.